Purchasing a Tampa new construction home is different from buying a resale home. 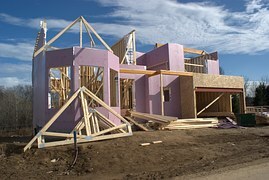 Here are some tips to keep in mind if you are considering purchasing new construction. Always, always use your own Tampa Realtor/agent, not the builder’s agent. A builder’s real estate agent represents ONLY the best interests of the builder. What you want, and absolutely need, is an experienced Tampa Realtor on your side to make sure you get the best home at the best terms. When you use your own Tampa real estate agent you know there’s no conflict of interest. Many times a builder or community representative may require that your agent be present at the first showing and at every showing. If you’re not represented when you see the property you may find yourself working with the builder’s agent even if you didn’t intend to do so. Your Tampa Realtor/Agent should have experience with newly constructed home transactions because builder contracts are different from what most real estate agents deal with, so having new construction experience is important. As a real estate agent with extensive experience with new construction purchases, Tampa Realtor Sandy Ernst is available to be your guide with this very important investment. With any new Tampa home for sale it’s crucial for you and/or your Realtor to do the homework to fully understand builder’s track record, their reputation and what they offer. Visit the homes and other communities the builder has built in to get an understanding of the builder and check online reviews. Builders are not normal sellers because they have absolutely no emotional connection to the property. Decisions are made on the bottom line but you can use this to your advantage. Every day a builder has a home sitting for sale on the market their holding cost money is going out the door. Therefore, a builder that has an inventory of homes on the market for 45 days or more may be ready to give a better deal. Your Tampa Realtor can make sure your purchase contract allows you to bring in a qualified home inspector. Some builders will refuse unless spelled out in writing. Your chosen inspector should check outlets, plumbing fixtures, walk the roof, the crawlspace and attic, and typically any faulty items will be repaired by the builder and not affect the closing of your purchase. You’d think that purchasing a new construction home would be easier than buying a resale home but the truth is that to truly protect yourself absolute due diligence is mandatory. Again, an experienced Tampa Realtor such as Sandy Ernst has the knowledge to help you through the process to a successful closing.